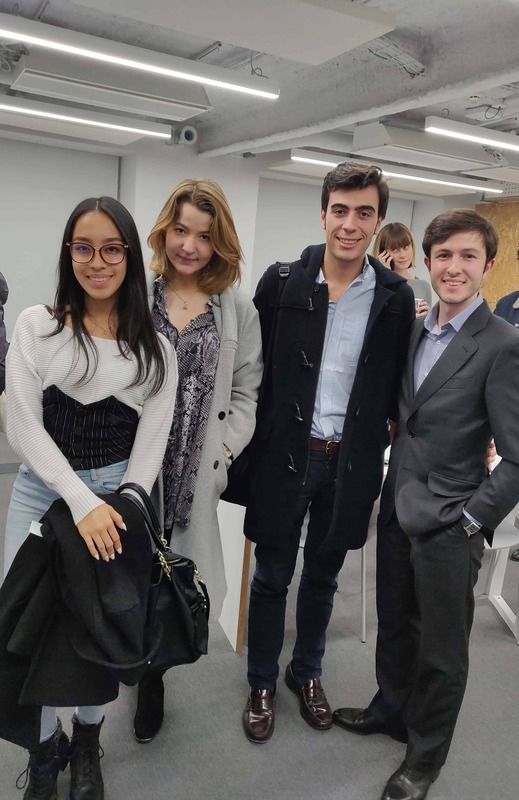 On an event organized by the IEU Law Society, four alumni of the Bachelor of Laws degree shared their after-graduation experience, insights on how they entered the job market and how does a comparative law degree help students stand-out as a global lawyer in a competitive job market. The panel began by the four invited alumni introducing themselves and kicked-off with Marie Trapet speaking about her experience focused on competition law and the advantages that IE Law School gave her to gain professional experience while studying her degree. 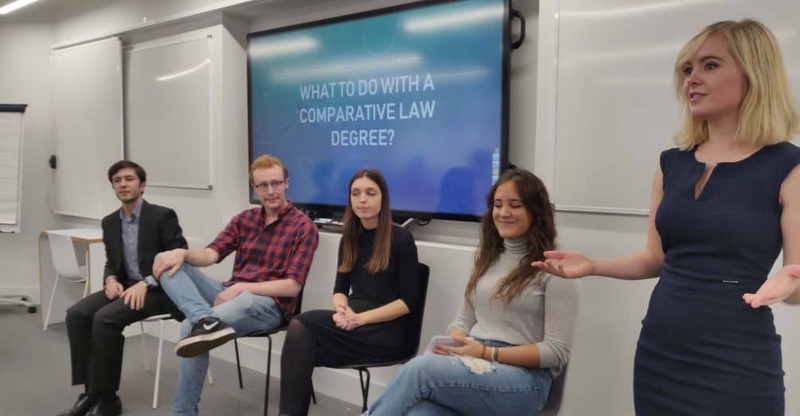 Ainhoa Busto continued to talk about her experience studying an LLM in a Spanish public university after being at IE andemphasizedd how important it is for employers that students know how to portray themselves as capable lawyers. She inspired confidence in the audience by saying that if one take’s full advantage of the learning experience at IE and the knowledge from the Academia, we will be prepared to work in any jurisdiction because we will know how to think and solve problems like a lawyer. Calum Hedigan also shared his experience as a non-native Spanish speaker studying an LLM at IE Law School. He recommended international students that do not speak Spanish to go to South America on an exchange program and get serious about Spanish lessons. Calum encouraged the audience to get involved in extra-curricular activities as these differentiate you from other candidates and make you more eligible. Lastly, Angel Girao provided students with an entrepreneurial perspective by sharing his experience of studying an LLB degree and at the same time creating his own legal company with the help of IE’s Venture club and Area 31. The event finalized with 40 minutes of questions by the audience in which students asked for practical advice and the Alumni shed clarity into all concerns. The Law Society thanks deeply all attendees and the Alumni for volunteering and doing an excellent job helping the student community. This article was written by Barbara Gomez Cortez, Undergraduate Student and Officer of the IEU Law Club.